Pastor Dave Schultz became pastor here at Arthur Evangelical Free Church in January 2019. 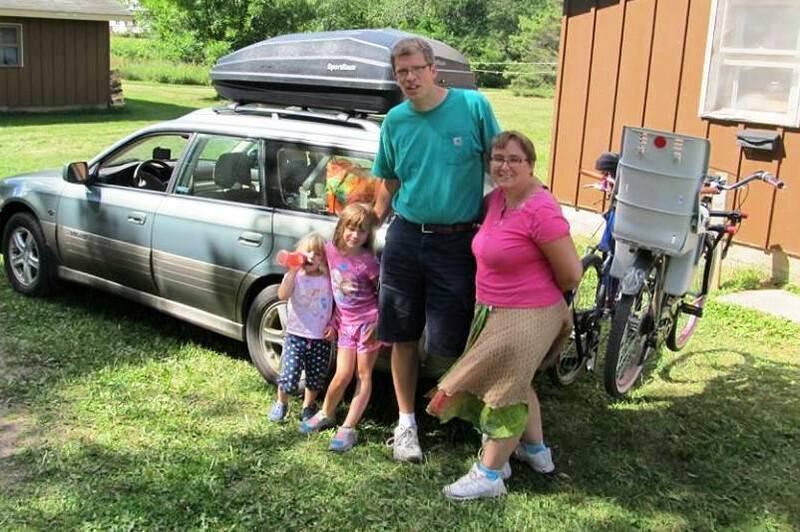 Dave and his family came to us from the Northern, Michigan where he served as the church planter and then pastor of the Grayling Evangelical Free Church in Grayling, MI for over 10 years. Dave is a graduate of Michigan Technological University (degree in electrical engineering technology) and holds and M Div from Trinity Evangelical Divinity School in Deerfield, IL. Dave and Melissa spent most of their growing up years in Michigan though Melissa was born in the great state of Iowa! After meeting in 2008 when Dave was completing a church planting residency at a church in Midland, MI they married in May of 2009 and their family has grown with the arrival of Grace (2010) and Esther (2013). You’ll probably see the whole family gathered around the swing set at the playground, swimming at pool, and biking on the bike trail – they enjoy the outdoors and have had great experiences on camping trips. Dave is passionate about preaching God’s Word and working with leadership to effectively shepherd the church family while continuing to win and grow more committed followers of the Lord Jesus Christ.